Would you try another book from Dan Hampton and/or John Pruden? 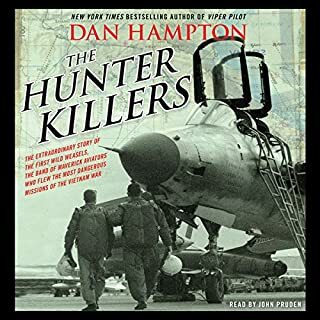 Yes, overall it was a good book but there was too much well told history about the Vietnam conflict; there needed to be more about the Wild Weasel missions and most specifically about the F-4 missions that were not even mentioned. The F-105 story is an outstanding historical account that is far too often overlooked but in all reality the F-105s were but a portion, more info about the entire mission would have been welcomed. Additionally, some thoughts about the current F-16 mission would have placed much of the word done by the early Thud Drivers into current context. Would you recommend The Hunter Killers to your friends? Why or why not? Yes, within the listen there is some great stories and info but there is also quite a bit of old news. Did The Hunter Killers inspire you to do anything? What made the experience of listening to The Arsenal of Democracy the most enjoyable? 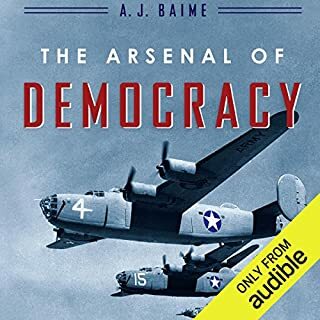 Overall it was a good listen but there are many interesting facts about the Ford/Willow Run B-24 production that were not included in the book. While a great story these points were glossed over and would have made it a more robust book. The relationships between the members of Ford family is always interesting and how even which the challenges they faces the company was able to move forward. Life-long liberal Kirsten Powers blasts the Left's forced march towards conformity in an exposé of the illiberal war on free speech. No longer champions of tolerance and free speech, the "illiberal Left" now viciously attacks and silences anyone with alternative points of view. Powers asks, "Whatever happened to free speech in America?" Great listen for all, regardless of your politics! What did you love best about The Silencing? 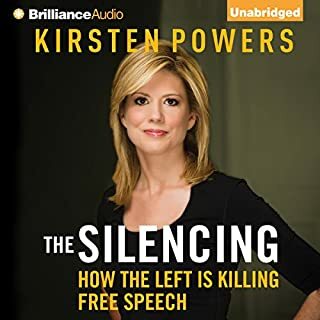 Being a life long liberal gives Kirsten Powers a unique position when it comes to the activities to squelch free speech of the left. She supports her points with facts and logic that are not shrouded with any of her own political bias's. What was one of the most memorable moments of The Silencing? Her outlining the attacks by the left on Fax News and the facts she present that dissect the attacks as baseless. While no news organization is perfect when you take time to watch the various networks operate, listen to their on-air personalities her points really clarify the nasty nature of the left's anti-Fox operations. What does Kristin Watson Heintz bring to the story that you wouldn’t experience if you just read the book? She is an outstanding narrator with a delivery that aligned well with the book's topic. It was a great listen all around. Have recommended to several people with all kinds of political stripes! Over the years I have read or watched Kirsten Powers numerous times. While I do not closely align with her politics I will always take the time to absorb her message and the logic she had used to from her thoughts. She is a consummate professional who conducts herself from facts, logic and the ability to look, listen and lear from others. "The Silencing" is a perfect example of how opinion columnist, news personalities and other who are within the media should operate with: facts, logic and respect for those who you may differ with. 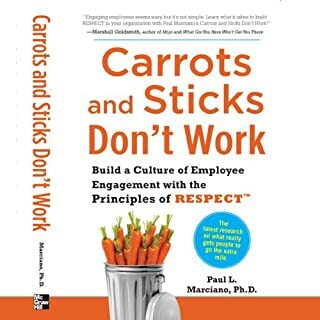 What did you love best about Carrots and Sticks Don't Work? Over the years I have read of listened to a myriad of books on leadership, management, employee development, motivating teams, .... 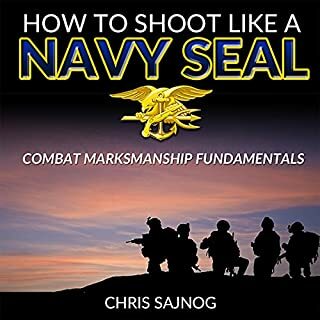 Most being filled with highly theoretical and real world impractical advice that is thrown out the window when you hit the first bump in the road and deviate from the "plan". Dr. Marciano has created a well developed "life" guide that is easily actionable by anyone who has been given the opportunity to lead or manage people; regardless if they are entry level hourly retail employees or highly educated engineers or software developers. By building basic respect into your organization's DNA the by-product will be far more engaged, productive and happy personal who not only can, but will increase their level of play, increase organizational efficiently and add value to the origination far in excess of the time effort and resources invested in treating them as you would want to be treated; with respect! What other book might you compare Carrots and Sticks Don't Work to and why? There really is nothing like it I have listened to or read. I would liken "Carrots and Sticks" to some of great work by Malcolm Gladwell's, Simon Sinek or Jim Collins. Which character – as performed by Richard Broski – was your favorite? It was a highly valuable listen for the entire book. Really great work! Big recommendation for anyone who has been given the opportunity to lead, manage or supervise others. Well worth a listen for parents as well, some great life lessons.